Neutral spinal alignment is really important to combatting back pain. That’s why the majority of our mattresses are strategically zoned and have been scientifically proven to align the spine more neutrally than non-zoned mattresses. 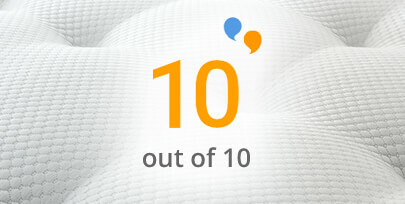 Don't just take our word for it - read customer reviews here. Scientific studies have shown zoned mattresses are better at aligning the spine than non-zoned mattresses. This helps your spine rest, recover and rehydrate after the rigours of the day. 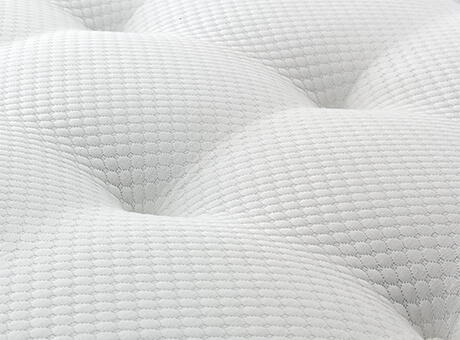 Zoned mattresses offer additional support where you need it the most: the hips and shoulders. In studies conducted with the University of Central Lancashire, researchers concluded that it’s “clear changing the type of zoning can clearly affect an individuals’ wellbeing by putting them in a more ‘at risk’ posture”. Silentnight mattresses with Miracoil and Mirapocket support systems are all strategically zoned to help align your spine in a natural, healthy way and combat back pain. The comfort filling you choose is important as it personalises your sleeping experience, whether you want a snug feel, more breathability or reactive support. Not all comfort fillings are made equal. 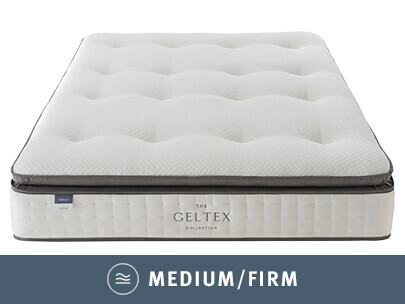 We put our gel infused foam comfort filling, Geltex, to the test against memory and latex foams. 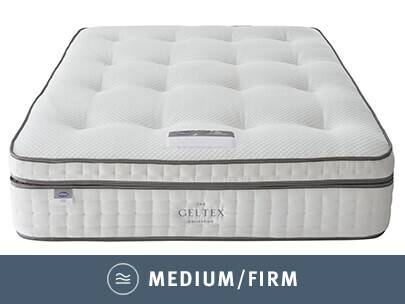 The results came back conclusive, with Geltex performing better for spinal and hip support, pressure relief and breathability. Spinal and hip support is vital to spinal re-alignment to help prevent the effects of back pain. 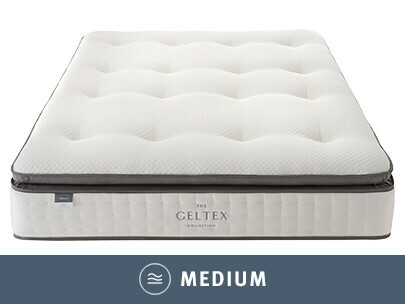 Plus, Geltex comes with Active Response, which assists easy movement for an undisturbed sleeping experience. Some people assume that the firmer the mattress, the better it is for your back. This is not necessarily true. 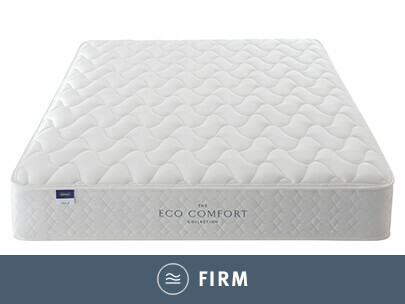 Instead, you need a mattress with the right firmness rating for you, which distributes your weight evenly and aligns the spine healthily. 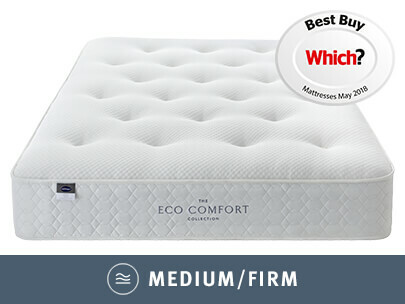 For example, those who like sleeping on their side may find a medium firmness mattress better alleviates back pain than an extra firm mattress. On the other side, those of a larger stature who sleep on their back may find extra firm is just the ticket. The ultimate test for any mattress is to sleep on it. It can take a little time to get used to it, but after a week or two you’ll know it’s the mattress for you. 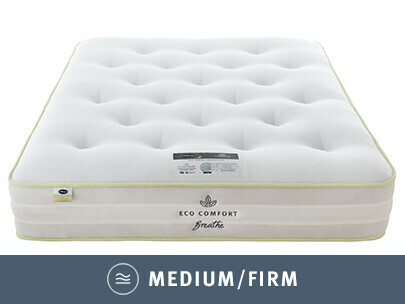 All of our mattresses come with a 60 night comfort guarantee so you can do exactly that. If you don’t love it, you can return or exchange it for a more suitable mattress. We offer a total peace of mind 60 night comfort guarantee. If for any reason you’re not totally satisfied, we’ll exchange your mattress for an alternative mattress of your choice.